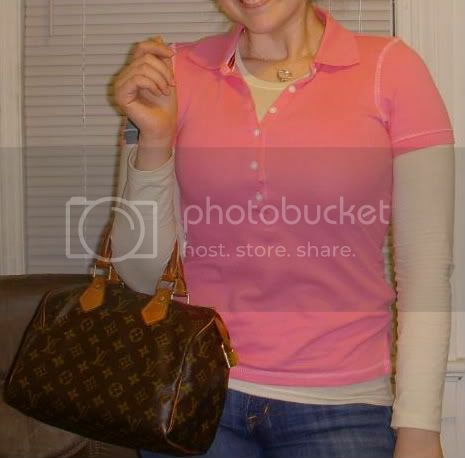 Pics of you wearing/carrying your bag(s)!! Thread: Pics of you wearing/carrying your bag(s)!! Re: Pics of you wearing/carrying your bag(s)!! ^^^ oooh... how cute... but yeah it is pretty long... it's not adjustable??! ^Nope, it's not adjustable...which is weird. Last edited by lilstrlett; April 8th, 2010 at 10:40 AM. LET'S KEEP THIS THREAD ALIVE! Well, here's the Gryson for Target bag I bought yesterday. See how long it is?? OMG, so cute! I think the length looks good... are the straps not adjustable? Nope, they are just one length...you can't adjust it. But, it's ok since I do like the length. geez, i need to catch up you guys! when i get a chance, i will post pics of me and my LH. Hello. 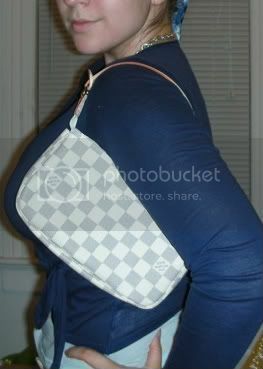 This is me wearing one of my handbags. You can't really tell from the picture how soft and nice the leather is, but it's gorgeous! ^ i like the buckle belt in the front!!! !